The Februpeary sale is still going on at Angry Pear’s Etsy shop! When you enter the code FEBRUPEARY2012 at checkout, you’ll get free shipping worldwide on everything in the shop until the end of February. And there’s not just cards, there are also micro pears, mini comic books, and pins! 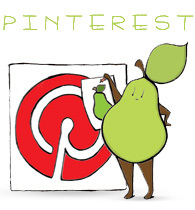 Categories: pear people | Tags: angry pear, cards, comic, Etsy, figures, fruit, humor, illustration, Pear, Pear people, pear person, pears, pins, polymer, sale, shop | Permalink.